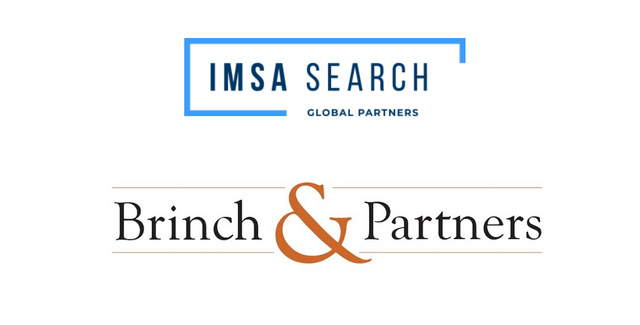 Danish company Brinch & Partners joins IMSA Search Network. New member allows our network to expand and cover Europe with boutique class, top quality services. Martin Bo Sørensen, managing partner of Brinch & Partners, reveals the backstage of their every day’s work and the secrets of consumer-centric executive search. Martin Bo Sørensen: Brinch & Partners is celebrating its tenth anniversary this year. Despite market fluctuations, we have managed to maintain steady growth for a decade. Additionally, we have expanded the company from its two founding fathers to a team of nine consultants and five researchers, operating from offices in Copenhagen and Arhus. The next logical step is expanding internationally. With IMSA Search, we not only can seize the opportunity of working on a global scale, but we can also learn and share ideas with other IMSA Search members from all over the world. The opportunity of exchanging ideas and information between IMSA partners seems important to you. Is it crucial for C-level executive search? Well, there is a kind of paradox, inseparably connected with executive search. On the one hand, our business is very local. We know the local pool of potential candidates, we maintain close relations with our clients and we try to be aware of their constantly evolving needs. On the other, more and more companies are operating in the international environment and they are open to hire people from other countries and cultures. If our customers are willing to go global, we have to follow their needs and navigate the process on an extraterritorial level. Being a part of the IMSA Search network allows us to see new trends, tendencies and ideas which really valuable. How does it correspond with Brinch & Partners core values? We are known for being Professional and Informal. Also, we like to believe – and I am quite sure it is true – that we are a customer-centric company. We are really focused on the client we are serving whose needs are always a starting point of the process. So I would say that building a deep and long-term relationship with the customer is our core value. But there is another aspect, which has a special value for us. It’s the way we see rivalry. As consultants, we are active in a quite ambitious and competitive environment. But at Brinch & Partners we like to see this competitiveness from a different angle. We are focusing on helping each other and – as a result – we are delivering the most competitive offer for our customers. You can say that we are competitive on behalf of our customers. And I think that is, to some extent, unique. It seems that you are a company that is very much team-work oriented. How does it work? For each project, we create a team of two consultants and one researcher. We have a leading and backup consultant. The backup can be useful when it comes to emergency situations. So – there will always be somebody, who can take care of our customer no matter what. But more important there are more advantages to this kind of approach. It allows us to brainstorm and discuss the assumptions. We have had many situations when one of the consultants thought that something was undeniable or evident, but after brainstorming in this micro-team, it turned out that we could fulfil the client’s need with a completely different – and better! – solution. This method is quite unusual, isn’t it? How was it developed? The company was founded by two managing partners Jens Chr. Jensen and me in 2008. We were offered to become partners in our previous company. But, deep down inside we knew that what we really wanted to do was to search using our own, unique approach to the recruitment process. We both felt that it should be – first – less individual, second – based on long-term relationships with customers. So we decided to leave and start our own business. And then the financial crisis broke out. The market collapsed and things started getting out of hand for many companies as the situation got worse and worse still. It was a difficult time, especially for the new businesses. But we were lucky. Or perhaps – rather – it was a combination of luck and skills. All our clients chose to stay with us, even if our situation on the market was unsure. Because of that, when our contracts finally expired on Friday, we had our first assignment as an independent company the following Monday. Why do you think the clients stick to your approach? In the executive search business, the experience comes with years of service, and it has taught us that the long-term relationship with the client is the most important thing you have got. Also, I think that there are two factors crucial for a successful business. The first one is pretty obvious: it is the right methodology. The second one is sometimes underestimated, but it is really important. It is trust. And it goes both ways. The recruiter needs to have trust in the client. Otherwise, how you can represent him or her? But recruiters also need to earn the trust of their clients. I really think it is as simple as that. Are those first clients still with you?